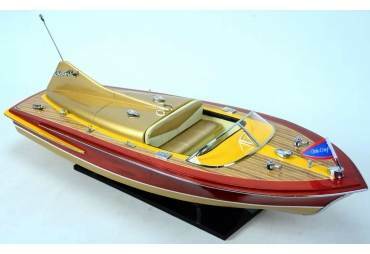 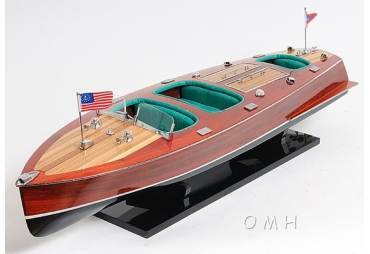 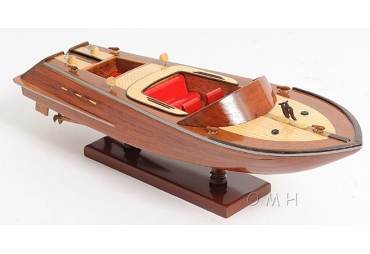 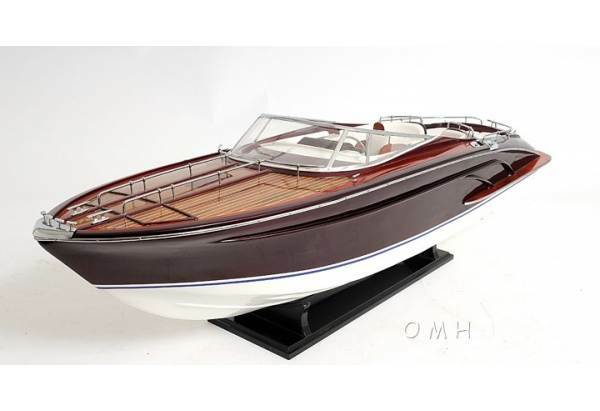 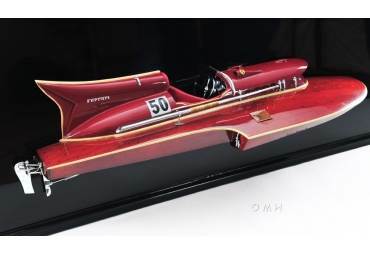 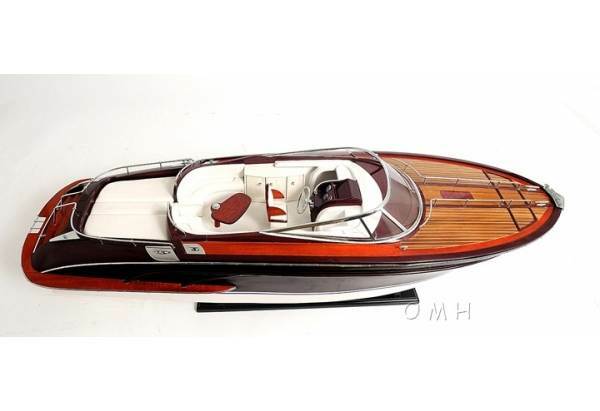 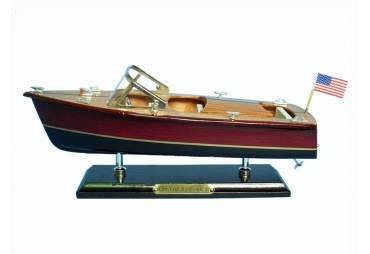 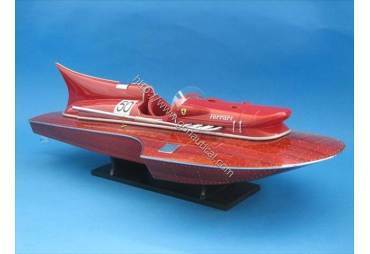 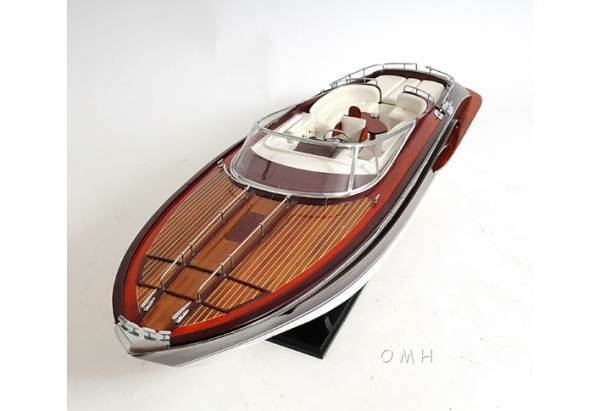 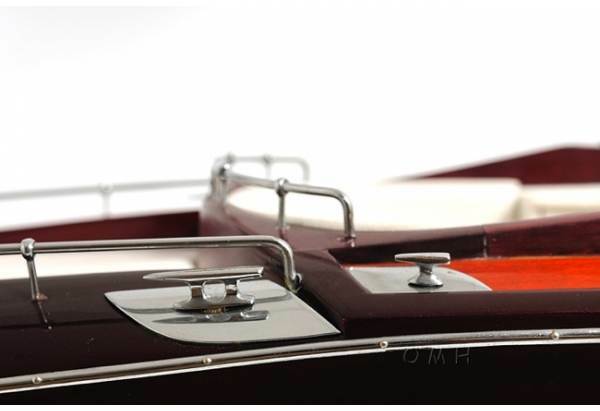 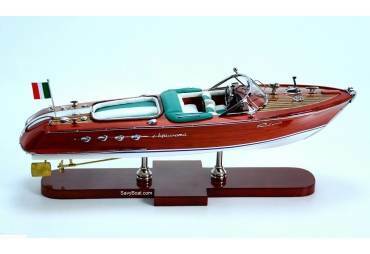 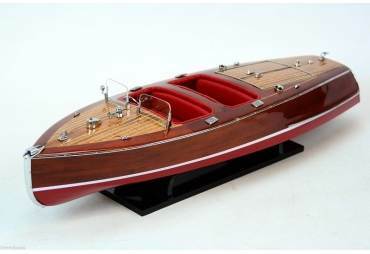 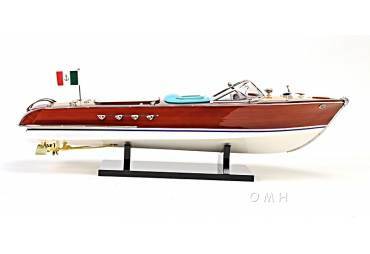 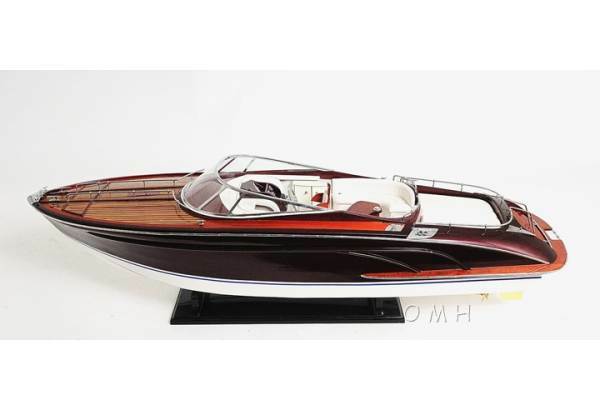 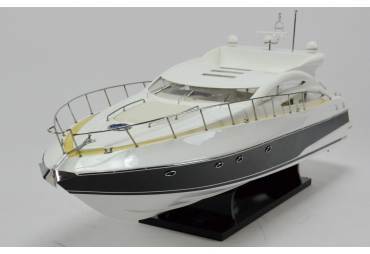 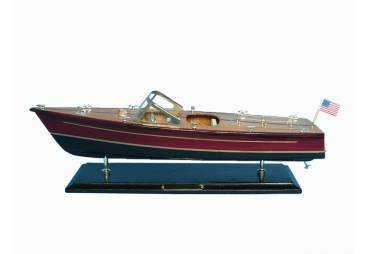 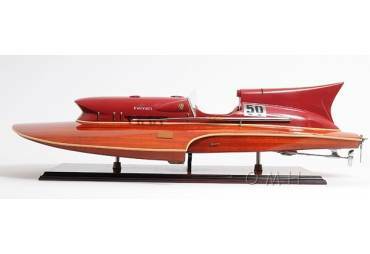 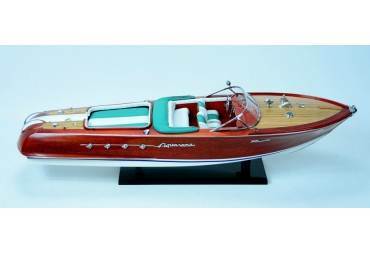 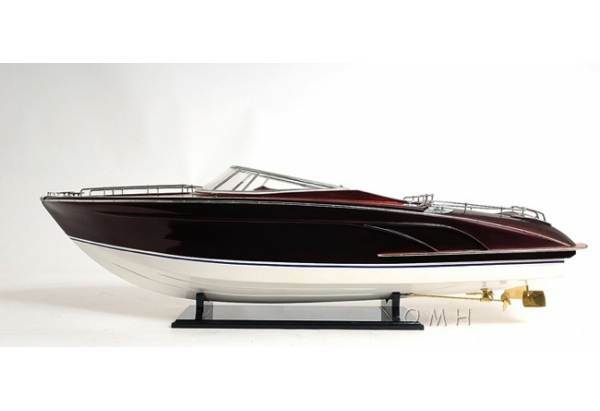 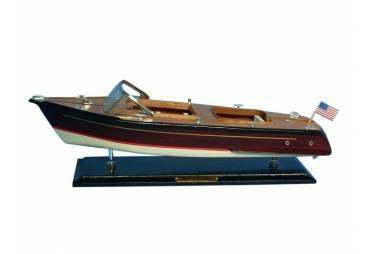 → Model Ships>Speed Boats>Classic Riva Rivarama 37"
This is an exclusive edition of the Riva Rivarama, where the model is uniquely identified by a laser cut hull serial number. 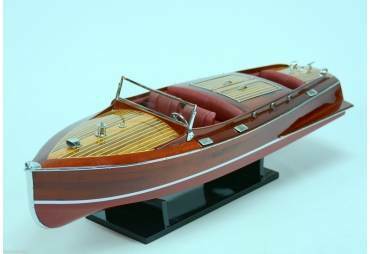 Our luxurious Riva Rivarama model is handcrafted from beautiful wood such as rosewood, mahogany, teak, and exclusively purple heart. 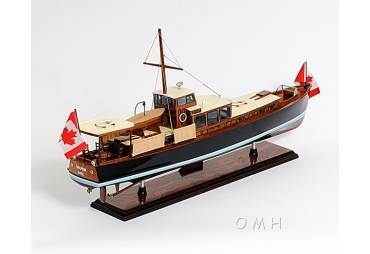 The ship has a lustrous color of white and black follow with amazing details. 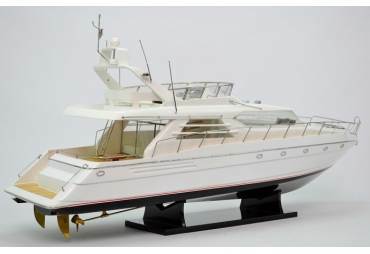 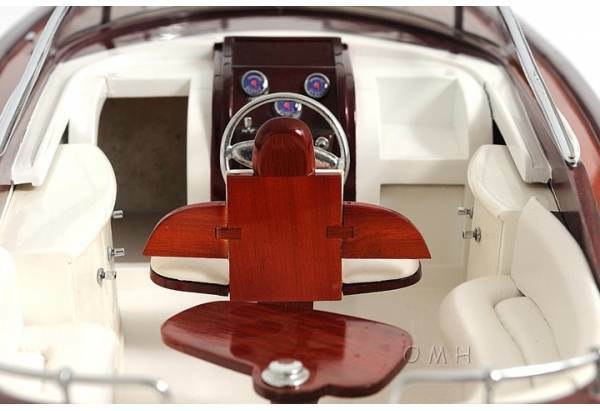 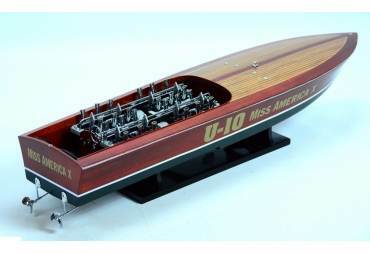 You can easily spot the eye-catching details such as: all white leather seats, wooden coffee table, wooden cabinet, colorful navigation gauges, shiny metal steering wheel, metal horns, metal rails surrounding the boat, clear windshield with metal frames, painted black and white interior and much more. 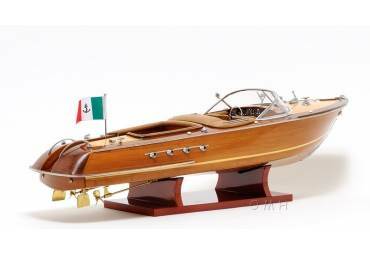 All these detailed ornaments contribute to an astounding wooden Riva Rivarama. 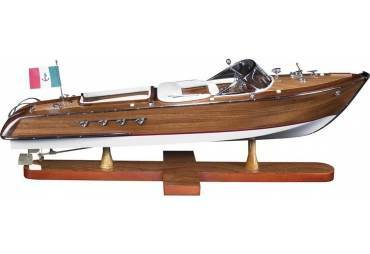 In addition, a detachable wooden stand comes standard with this model. 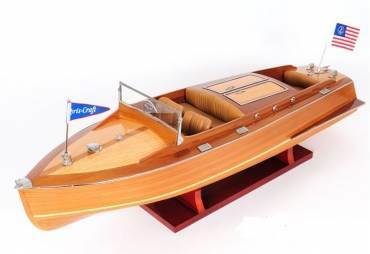 Our model was built according to scale through original plans, pictures and drawings. 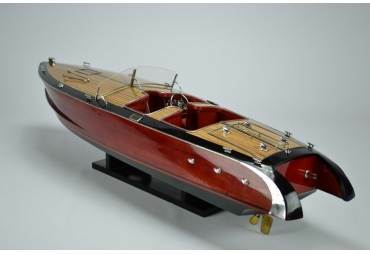 We absolutely use no plastic parts only the highest quality wood and metal parts. 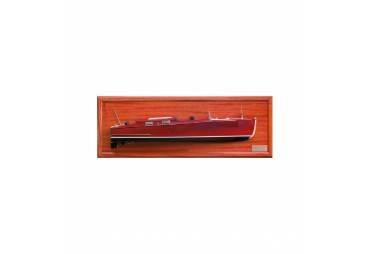 This model is carefully packed with 2 thick layers of Styrofoam for damaged free shipping purposes. 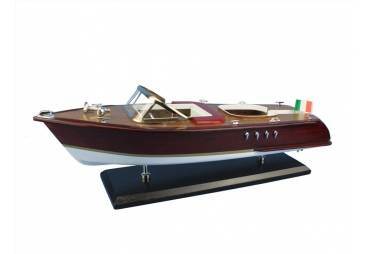 Our Riva Rivarama model comes ready to be display.